After an eventful summer, and my short hiatus from blog writing, Dr. Lawhern agreed to kick off the academic year with our first post of the year. I’m sure you will all enjoy this hot topic. Please welcome guest blogger Richard A. Lawhern, Ph.D.
As a subject matter expert on public policy for opioid analgesic therapy, I have been deeply frustrated over the purported opioid crisis during the past three years. I have seen the grievous harms being worked by government bureaucrats who refuse to correct their own errors and biases. The 2016 CDC guidelines on opioid prescription in chronic pain — and misdirected doctor persecutions carried out by the Drug Enforcement Agency — are responsible for driving significant numbers of doctors out of pain management practice and denying pain relief to people in agony as memorialized at these three links. Although CDC does not appear to be collecting suicide data specific to the denial of pain treatment, I read patient and family reports in multiple chronic pain community groups every month that seem to support this. Although we do not have definitive National statistics, several case reports show trends that deserted patients have committed suicide because of provider abandonment, unrelenting pain, rapid opioid tapers, or a combination of all three. Government bureaucrats have been informed repeatedly of their errors in public media. But they are passively refusing to do anything to correct course. I’ve corresponded with senior officials at the US FDA, the Department of Health and Human Services, the National Institutes on Drug Abuse, and the Centers for Disease Control and Prevention. I’ve spoken in public hearings of the FDA Opioid Policy Steering Committee and the HHS Inter Agency Task Force on Best Practices in Pain Management. Some agencies have acknowledged my e-mails or sent me politely dismissive responses. At least one official at CDC has outright lied to me in writing. None have engaged with the issues on merit. Perhaps as Samuel Johnson informs us, “when a man knows he is to be hanged in a fortnight, it concentrates his mind wonderfully.” Though it is considered bad form to call governmental officials liars to their face, I don’t believe it is slander toward a public figure when it’s true. My argument with the CDC, FDA and HHS revolves around three basic assumptions that shaped the work of the consultants group that wrote the CDC opioid guidelines. All three of these assumptions are fundamentally in error, but our government is stone walling to avoid admitting their errors. See Are Prescription Opioids Driving the Opioid Crisis? Assumptions vs Facts. 1. It is claimed by multiple State Attorneys General and in much of popular media, that America has a “prescription opioid crisis” caused by doctors who naively over-prescribed opioids to their patients, who then became drug dependent and later addicted. Neither the CDC data nor the National Institutes of Drug Abuse support this. Was the Opioid Crisis Created by Over Prescription? Published data of the CDC itself disprove this assertion. When State by State rates of doctor prescriptions for opioid pain relievers are compared to rates of opioid overdose related mortality, we find no relationship at all. Any contribution by medically managed opioids is so small that it gets lost in the noise of illegal street drugs that include opioids from licit and illicit sources, with or without other sedative hypnotics including alcohol. If prescription opioids were substantially contributing to opioid-related deaths, then we should see higher mortality rates in groups which use more prescriptions. But this doesn’t happen, as seen in Analysis of US Opoid Mortality and ER Visit Data [CDC Wonder and AHRQ HCUP-US Databases. Opioid-related deaths among youth and young adults have skyrocketed since 2001, largely because of illicit fentanyl. But opioid deaths from all sources among people over 50 have been stable. Seniors are prescribed opioids about 250% more often than teens. Thus, the group that benefitted most from liberalized prescribing policies of the early 2000’s has shown no increased mortality due to opioid drugs from all sources as seen in the link immediately above. Do Opioids Work Long Term for Chronic Pain? Writers of the 2016 CDC guidelines “stacked the deck” against opioid therapy by unfairly rejecting any opioid trials conducted for less than a year, but including much shorter trials for non-opioid medications and behavioral therapy. They got caught at this fraud by their medical peers. Are Safe and Reliable Substitutes for Opioids Available? While it is appropriate for doctors to try non-opioid medications first before proceeding to opioid therapy, anti-inflammatory drugs have their own problems and side effects mostly related to gastrointestinal bleed, kidney dysfunction, and cardiac risk. Additionally, there are inherent toxicities and contraindication to all medications, including but not limited to various anticonvulsants, noradrenergic reuptake inhibitors such as certain antidepressants, anticonvulsants, skeletal muscle relaxants, and others. In June 2018, the US Agency for Healthcare Research and Quality published a systematic outcomes review for non-invasive, non-pharmacological therapies in chronic pain. Among 4996 published trial reports for six categories of chronic pain, only 218 survived rigorous quality review. Quality of medical evidence was “weak” in more than 150. . However, AHRQ flinched from admitting the basic problem of the “alternatives” literature: none of the alternatives has undergone large scale Phase II or Phase III trials. Though most appear safe, we don’t know yet if they work any better than placebo. By resisting the imperative to perform an outcomes assessment for their 2016 opioid guidelines, the CDC is resisting a recommendation made by their own Board of Scientific Advisors, weeks before publication. If done fairly, such an assessment will likely establish that the Guidelines are destroying thousands of lives while protecting nobody. It is time to admit to their errors in a major rewrite and policy redirection. 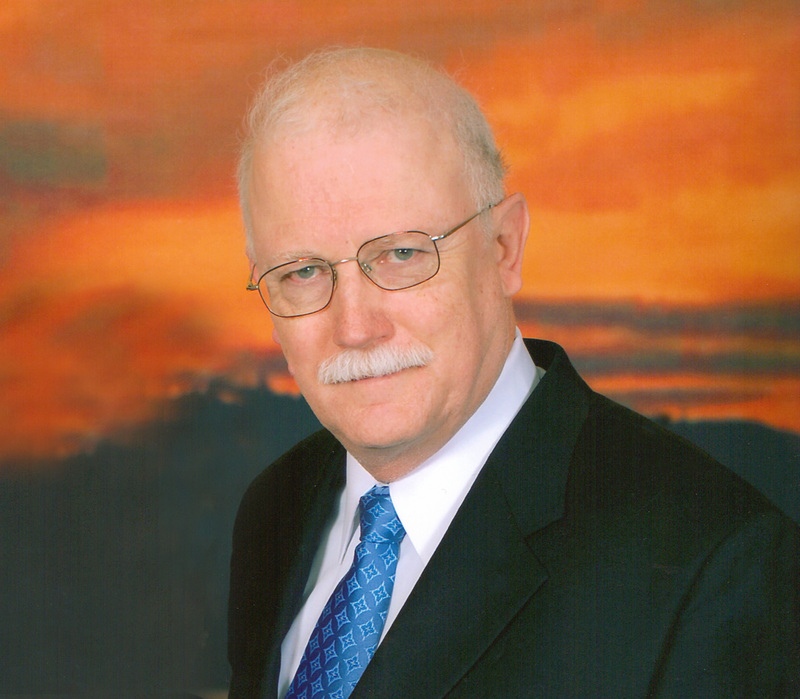 Richard A Lawhern, Ph.D. is a technically trained patient advocate. His work has been published or featured in National Pain Report, Pain News Network, PainWeek, The Journal of Medicine of the US National College of Physicians, Practical Pain Management, and other online media. 1. Ballantyne JC, Shin NS. Efficacy of opioids for chronic pain. Clinical Journal of Pain. 2008;24:469-78. Rauck RL, Nalamachu S, Wild JE, Walker GW, Robinson CY, Davis CS, et al. Single-entity hydrocodone extended-release capsules in opioid-tolerant subjects with moderate-to-severe chronic low back pain: a randomized double-blind, placebo-controlled study. Pain Medicine. 2014;15:975-85. Milligan K, Lanteri-Minet M, Borchert K, Helmers H, Donald R, Kress H-G, et al. Evaluation of long-term efficacy and safety of transdermal fentanyl in the treatment of chronic noncancer pain. Journal of Pain. 2001;2:197-204. I am also a patient of Osteoarthritis with x-rays of chronic pain in the neck, wrists,low back,left knee and my hip.They have also taken me off of 7.3 Hydro-codone,3 tabs a day.I have chronic pain and donot feel like being around people and can’t even go to church.And on anti-depressents. My pain is constant and quality of life has gone down since of rapid tampering and taken off of the above mentioned opiods.I didn’t have any withdraws and wasn’t addicted, but the pain it just increased. The Drs that took me off was my pain management Drs that my primary dr sent me to. How do I get relief from a small anti-inflammatory Meloxicam and muscle relaxers, cyclobezaprene? PLEASE HELP ME FIND A CLASS ACTION LAWYER! We, as pain management patients, have a right to medicine which was prescribed by our Dr. If we fight back in the only way our government and related agencies understand, maybe we can have additional parameters put in any legislation for chronic pain patients. Just a sentence, covering and including our condition, can change our lives. If you have a lawyer who is willing to stand up for our rights, please let me know. I hope we all can support each other through this, as we revert back to our pre medication selves due to lawmakers ignorance. I am tired of the FDA and the CDC telling me my pain is in my mind, that I should not need the opiate meds. I call BS and only a small percentage of people become addicted and is from illicit heroin and fentynal and people selling the drugs to get high. They are many bad apples that are ruining my life and everyone elses who needs this stuff to function on a daily basis and penalizing physicians has got to stop they are trying to help us hello read the hypocritical oath…enough with the government and healthcare politicians and lobbyists deciding for us. Thank you Dr. Lawhern for getting the truth out there! I knew there was something fishy about these supposed “guidelines” from the start. None of it made any sense. I was encouraged by my doctors to go on opioid therapy because nothing else helped. There is no cure for what I have. I doubt they will find a cure in my lifetime. I have damage to a branch of my Trigeminal nerve after a botched dental implant surgery. I have been in constant pain. The surgery was over 17 years ago. It took about a year for a diagnosis. For about 12 years my pain was well managed on a course of opioids managed by my neurologist. then the CDC guidelines came out and he stopped prescribing opioids at all. I had to switch to a pain management doctor. this guy immediately did a rapid taper to less than half of what i was on before. Even though I told him my pain was well managed. Every time I go in for an appointment he asks how my pain is. I tell him I am in agony. he does not even respond. I don’t know why he is a pain management doctor. I feel trapped because he was the only doctor who would take me on. There are days I don’t know if I am going to make it much longer. i have 2 daughters…they are the only reason I am still alive. I’m sorry. I know I will be repeating things already said but like all of “us” I need to scream ! I am so borderline suicidal that it scares me. I’ve been sick since 1990. I’ve been under the care of a competent physician for 28 years and we did not take pain management lightly. I have degenerative disc disease, chronic myopathy and chronic neuropathy. My spine can no longer support itself and it’s started to collapse. I now have adult onset scoliosis. In the past 4 years I have shrunk 5 inches in height. I’m sorry.i can’t keep doing this. It just tears into me that a bunch of worthless politicians are condemning so many of us to a living nightmare. I’ve watched politicians, insurance companies and pharmaceutical companies make policy based solely on the almighty dollar. I lost my companion dog of 14 years at Thanksgiving. She was holding me together. It happened a month after my scrip was cut in half. I’m struggling for a reason to hang around. Who would volunteer to live like this ? Prohibition didn’t work either. So who’s the Elliot Ness busting drug users with an axe this time around ? Take care you all. I will keep you all in my prayers…. even the politicians. I truly thought I’d heard pretty much the bad bad from my perspective. I’m a “si,ce 1990” sufferer too. I have been off my MEDs for 3 years now. I have several other issues from my 1st Responder activities on Sept 11 and the pursuing days. I’ve lost much bit gained much too. I couldn’t not say something to you though. Keep fighting… We cannot just all commit suicide or the asshats win. I have wished death on so many occasions. I’ve even denied myself imperative heart surgery until just a wek ago… 25 Mar 2019 on account I’m fighting this until I collapse. I’m 53 this May and I’m exhausted. But for right now. I’m fighting,g I hope this has found you and you have found some comfort in it. Thanks so much for speaking those who have no voice. I worked in the health care industry for 24 years and I believe that the CDC is responsible for the suicides of tens of thousands of patients whose pain ad been controlled until Mr. Novotny at the CDC unveiled his guidelines. Now that they are experiencing pain again, they chose not to live the rest of their live in extreme pain. I am one of those patients who have to make that decision. Yes. The CDC has to stop these guidelines before another person dies. and its getting worse. Now that access to opioids to commit suicide, people have to turned to guns as a means of suicide. This was reported on NPR about 3 months ago although the connection between using guns in the this was not made. I am writing to any congressman who will listen to this story. Unfortunately , the mainstream media is not reporting this story. Who makes the decision that CDC’s opioid guidelines needs to be updated? Do you really see this happening? My husband’s pain has been tolerable until last month when his morphine was cut 50%. He is in pain 24/7 and becoming very angry and short tempered. We cannot afford the Embeda that his pain management physician prescribed to replace the Morphine. — looks like the Pharmaceuticals are making big bucks with their “new and improved” meds. Chronic jaw pain excruciating, 15 years. Ms type symptoms, fibromyalgia type symptoms, I’m incapacitated, on couch all day. Not on correct opioid meds, just short acting. Can’t find another pain dr. CDC, insurance are the drs now? War on what? I’ve been in pain since 2004. I have nerve damage that affects my lower mouth and jaw, excruciating. Opioids only thing that have helped. Two oral surgeries to numb the left mental nerve at Mayo Clinic only made it worse. I have immune diseases chronic ulcerative colitis, samtors triad, a chronic sinus disease. Permanent damage to sinuses from 4 sinus surgeries causing constant infections. I have leg, back, feet, and sciatica pain and fibromyalgia pain. I have leg spasms if not on opioids. I’ve been tested for ms as I have many of the symptoms of. . I am not on sufficient opioids to control my pain and am allergic to some fibromyalgia meds. I constantly hear drs tell me they don’t want to prescribe opioids. I have been belittled, called a drug seeker for asking for an increase in meds to help my chronic pain. Pain patients are being abused for a so called opioid crisis. Let the drs help the real pain patients, not the CDC and insurance. Please, I no longer have a life. I live lying down all day. I to suffer from AA. The only comment I will be leaving I have been wanting to say for a very long time. Every group/person that is and has been involved in the elimination of opioids for chronic pain management will have the blood of chronic pain patients on their hands. Patients are being denied pain relief, patients are committing and contemplating suicide due to the lack of pain medication as well as just not being listened to or they are being cut off abruptly. We all will eventually have to meet our maker whether the individual believes or not. I myself am living with excruciating debilitating pain daily but I would rather have to answer to my maker as to why I killed myself or contemplated to kill myself than to why I had the blood of millions on my hands when I had been given the opportunity to help them. The titles these groups and people hold were pre chosen for them. The titles they have been blessed with, that’s right blessed with, can also be taken away from you just as fast as you obtained them, from your maker. I wish the CDC would talk to me about long term chronic pain medicines. I have lived with chronic pain since 2006. Better hurry though CDC because in a few month you will have me killed !!! My husband has been “legitimately” disabled for over 25 years. Two back surgeries T2-S?, six knee surgeries, and Swan Neck surgery. He is in pain 24/7. He’s had the same physician managing his pain. His physician cut his morphine 50% 2 wks ago, stating that he had no control! It’s pathetic when physicians are told how to manage someone else’s pain!! Now, instead of doing simple tasks around the house, he sits around because he cannot tolerate the freaking pain. Because he’s not able to move around, he’s getting lung congestion–which means he’ll be in the hospital with pneumonia soon. I’ve been hoping to hear that progress has been made concerning the opioid restrictions for chronic pain patients. Is anyone addressing this issue? I read in a report by AMA that basically “primary care physicians” are not trained to prescribe opioids”. BUT “pain management physicians” are…so why are THEY being forced to reduce/change dosage when it is “doing harm to the patient”. I am a nurse, and I know that chronic pain can make a patient suicidal!! That would be wonderfu,l Red. I’m excited to learn more about what they decide on best practice, and we all know it’s not the CDC suggested guidelines. Much thanks for your tireless efforts and advocating for patients. Thank you for such an honest view. It is refreshing to not see propaganda. I am also a chronic pain patient affect d by these changes. I have had several surgeries and botched epidurals that I created my pain levels above the original issue I sought treatment for. Recently my medication was reduced and later alternative therapies were tried (I have done regular PT, masssge, acupuncture, and more as a part of my maintenance for years). Prior to this my quality of life was very good, with occasional issues. I then went to a situation where my pain was so high that I almost had a cardiac incident from the stress. I am blessed that I have a practiction who would admit that the dose of fentanyl patch I was on and the strength it was is the ONLY thing that works for my level of pain and body chemistry. I know the living hell of constant, chronic, unrelenting pain and said point blank I. Would rather end my life than live the way the dose cuts and other medications left me feeling. I empathize with those who are not as fortunate as I am, and I daily fear more government regulation. I even have a letter from the cdc saying these are JUST GUIDELINES FOR GENERAL PRACTITIONERS!! It is cruel and inhuman to tell someone how a medication is supposed to affect them. MME is a reference number only. Not every medication works the same on everyone. That is like comparing a beer to a shot of tequila. They may have the same amount of alcohol, but you do not feel the same way after consumption and each person handles it differently; some are allergic to certain ingredients, etc. For all who have left comments: On September 25th, I was one of three delegates from the Alliance for the Treatment of Intractable Pain who addressed the second meeting of the HHS Inter Agency Task Force on Best Practices in Pain Management. My prepared remarks are circulating on Facebook and an After Action Report will be posted today to ~40 groups there and on Twitter to platforms which receive over a million impressions per month. The full video webcast of the proceedings should be up on U-Tube by next week, and their draft recommendations to Congress will be published in the Federal Register with a public comment period. The Task Force has made major progress toward addressing patient concerns and issues. In effect if not explicit wording, the Task Force has invalidated almost the entirety of the 2016 CDC Guidelines on opioid prescription. I believe there is reason to be hopeful of major near term changes in policy. Speaking for myself as well as millions of others, I find it sadistic for the CDC to make such ridiculous and harsh guidelines. My treatment has involved two back surgeries which have failed. Before the major back surgeries, I underwent a series of steroid injections. Before the steroid injections I had been started on pain medication. The pain medication gave me such great relief. However, after the back surgery failed, the pain returned and it was much worse than the original pain. I have been able to be maintained to a great degree on appropriate pain medication through my pain management physician. However, last year against the wishes of my physician and myself , my medication dose was cut in half, after several years of having the correct amount which allowed me to function and have a productive life. Now my life is reduced to 2 and 3 hour increments. I take my medication as ordered and I always have. I get 2 to 3 hours relief on the dose that I am now prescribed. Then I must sit down or lie down and wait until I can take another dose of medication so that I can get another 2 to 3 hour increments of tolerable pain level. I am monitored every month and I am randomly drug tested. Chronic pain patients do not take their medication to get high. It is not being taken as a recreational drug like alcohol, heroin and Fentanyl. It should be a crime to bully The Chronic pain patient Community the way the CDC is doing now. These patients, including myself, are not the problem. There is no opioid crisis. There is an illegal heroin and illegal fentanyl crisis. These drugs are coming across our Southern border. Heroin is not manufactured in the United States. Opium is not grown in the United States. The illegal fentanyl that is killing people in the United States is coming from China. These are well-known documented statistics. You are denying American citizens who are in pain the right to life liberty and the pursuit of happiness. How dare the CDC condemn me to a life in bed or a wheelchair. With my medication I am able to be productive and happy. You are also punishing the physician who is compassionate and cares about his patients. It is tantamount to the biggest bullying I have ever heard of in my entire life. You have chronic pain patients Running Scared and doctors afraid they will lose their license to practice medicine. There should be no blanket laws for the chronic pain patient. We are all individuals. It is up to the physician to decide how he wants to treat his patient. For God’s sake please stop these barbarous and sadistic guidelines which have been interpreted as laws, which they are not! You are harming people. You are causing suicides! How dare you? The actual of prescription overdoses is small. You have no right to count overdoses of heroin and Fentanyl with those of prescription medication and also you have no way of delineating whether the person that OD’d had a prescription from his doctor. the CDC admitted they lied about their statistics. You seem to have no problem, however, with the deaths that occur from alcohol consumption. I can go into a local drug store or a grocery store and buy alcohol right off the shelf without a doctor’s prescription. It is the most highly addictive and abused drug there is. But you do not seem to care about those people. Only the chronic pain patient who is suffering and gets relief from his pain medication. Do you realize the hypocrisy in this? Things rarely if ever brought up w/all the statistical info? DEA,CDC,FDA, HHS, etc none are elected representatives of we the people.They should have no bearing on the lives of we the people,period. My family had been in America since 1622. Up until 1914 they needed nobody’s “permission” or even advice regarding what went into their body. On the big picture it has not been that long. Why do we accept that others can make decisions for us better than we can for ourselves??? This is a bureaucracy run amok. if anything big should highlight the fact we no longer live under a lawful form of govt and are no longer a free people. Rarely mentioned either is the 2 ton elephant in the room. HEROIN FROM AFGHANISTAN. The production in that country has skyrocketed since the US and it’s flunkies in NATO has been there. IN Fact one can argue, that since the Taliban agreed to give up Bin Laden, (a whole separate article himself) IF THERE was PROOF OF HIS INVOLVEMENT IN 9/11. This was never forthcoming. W/this in mind it isn’t a stretch to say that the Taliban’s main crime was the drastic reduction in production of opium since they took control of the country. Last I checked Bib Laden couldn’t order NORAD to be on stand down allowing planes to fly around inmolested for inordinate amounts of time on 9/11. OR bring down bling 7 w/out a plane (Lucky Larry Silverstein’s quote to “pull it” notwithstanding) Money laundering has been tied to Wall Street banks. The same banks who Have numerous appointments inside each and every administration and should be acknowledged as the true govt along w/the Federal reserve (Greenspan said no arm of govt had control over FEDs decisions) not their frontmen named Obama or Trump. A very famous banker once said I care little for who makes a nations laws as long as I control the currency. Some may think I am getting pretty far afield but when one looks at the BIG PICTURE, it is easier to see this for what it is. A SYPTOM of a much larger issue rather than a problem in and of itself. We have a govt which is totally removed from the influence of the people it was supposedly created for. Please, we ALL know what is fueling this drug epidemic,which has been sensationalized far beyond it’s true destructive power. In comparison to one of the top 5 leading causes of death in the US which receives NO ATTN FROM GOVT OR THE MEDIA (Doctor/Hosptial MISTAKES) this “epidemic” is laughable because it’s a joke. Will we speak to the issues or grovel at the feet of those who feel they have the lawful authority (they do not) to practice medicine, run govt, our private lives, and commit crimes against humanity? After years of the later,which have proved fruitless, I must conclude that nobody is seriously concerned enough to bring up the full story. As long as your adversary is able to frame the discussion and set the rules of conduct (UNLAWFULLY I MIGHT ADD) you have no chance at a favorable outcome. I quit wasting my time trying to turn this discussion into something resembling reality well over 2 yrs ago,I see nothing has changed. I felt maybe one or 2 more nudges in the right direction couldn’t hurt. One cannot expect to repeat the same actions over and over and expect different results. Please take this to the next level, this govt,whether Democraticbor Republican controlled is a criminal organization. I will respect this blog by not going into too much detail but the info is out there for all to see. Are we to roll over and take it as our freedoms and now even our basic requests for human decency are destroyed?? I hope that answer is no. We will get nowhere being afraid of losing what little we have left. God bless those who have been affected by this criminal govt and their abuse of power. CDC has demonstrated their lack of integrity for years; for example the diagnosis and treatment of Lymes Disease. Insurance companies allow and reimburse diagnostic testing and treatments based upon CDC guidelines, but as of about 12-15 years ago (haven’t read anything recently) CDC employees held the patents on the only two acknowledged diagnostic tests for Lymes; tests which weren’t always accurate. (High number of false negatives) The CDC turned away other promising Lymes testing. Then there was the Ebola scare. I am a nurse, and I saw right through the CDC recommendations during that time. They were purely political; the mouthpiece of the White House. I foresaw the risk to U.S. caregivers, based upon inadequate infection control guidelines by the CDC, and the lack of adequate training at most U.S. hospitals. The W.H.O., which has more experience with Ebola, dictated that a specific protective respirator should be used as part of the infection control garments worn by caregivers; however the CDC, in keeping with its insistence that Ebola isn’t airborne, limited the protection. Yes, technically Ebola isn’t airborne, but a coughing, infected patient can aersolize the virus, thus making it transmitted by airborne means. As for preparedness of hospitals for such a contagious and lethal disease, there are only a few U.S. hospitals which have been trained to that extreme level. It was inevitable that caregivers, specifically nurses, would develop Ebola. I was shocked that there weren’t more cases of Ebola in the U.S. after they made the political move of refusing to cancel flights from the affected countries. It goes against all procedural standards for dealing with highly contagious and lethal diseases. Again, a very political decision. So, the CDC’s refusal to follow science and the facts with the issue of chronic pain and opioids isn’t at all surprising. It’s a political decision; following the dictates of those who hold the purse strings. To everyone in this news feed please join your Facebook community online, type the name of your state followed by Dont punish Pain in the search bar. Click join and answer the questions. It’s a good way to get updated information, and discussions. They also hold Rallies in your state to protest against this inhumane treatment that were all facing! Thank you to this Doctor for his public speaking in our defense! Awesome job! Thank You Doctor Lawhern. If More of Your Colleagues Also Start Caring About Their Patients and Speaking Up it Would Definitely Help. I’m Having a Hard Time Trying to Understand How Soo Many Doctors Would Leave Chronic Pain Suffers to Go Through Such Agony! They Took an Oath. They know About the Miserable Withdraws and Cruelty They’re Causing. I Have Spent Alot of time in The Hospital..And I’ve Had 23 Surgeries Altogether. Thirteen of Which Have Been Between Both Arms and Hand. A One Day Surgery landed Me in The Hsp for 28 days and Four More Surgeries. I’ve Had Another that Also Put me Back in The Hospital for 2 weeks. Now..I’m 57 Yrs old and Have Been Diagnosed with Degenerate Disk Disease. .Spinal Stenosis. .Osteoporosis. .Cervical Radicuphaty. .ect of My Spine. Ostreperosis of Both Hips with Tears and Spurring. .Ostreperosis of my Knee. .Arthritis in My Feet..Which I Have a Plate in One. I Also have Had 2 Rods put in my Dominate Right Wrist..I Have Arthritis in All My Fingers on Both Hands. .Resulting from The Severely Pinched Nerve in my Neck. All in All I Have 30 Things Going on With Me in My Medical Chart. I Have had 3 Nerve Blocks put In My Neck Only to Have a Doctor tell Me .I Didn’t Get Relief because they Were Put In The Wrong Area. I’ve Had 2 Shots in My Hip with No Relief. I was Diagnosed at age 45 with Cataracts From All the Steroid Injections Resulting in Eye Implants. Of Course they Want to Do Surgery on My Neck..Hip and Knee. They Finally Got Me at a Dose of Pain Relief. .and I Could be Comfortable Enough so I Did Not Have to Have Surgery Again. Only to Have it Taken Away. I Will Not be Forced to Have Anymore Surgery. I Now am In Excruciating Pain Everyday. Being Punished Because of the Mistakes of Orhers. I Only Get Physical Relief from My Medication. I have Been on Pain Medication On and Off for Many years. I Always went Back to Work After My Surgeries as a CNA Taking Care of The Elderly Until I Went on Disability in 2008 because My Arms are Shot. Now My Elderly Husband Takes Care of Me. They Sent Me to Counseling at My Expense so Someone who Does Not Live in Chronic Pain can Tell Me How to Live With Mine. Now they Want to send Me to An Addiction Specialist. I Am Not an Addict. My Goodness..They Make you Feel like a Criminal by Drug Testing you Which they Just Charged My Insurance Company 1200.00 for this last one. They Have Taken My Quality of Life Away. Why Not Leave Doctors to Do What Has Been Working for Their Patients after All Else Fails? If it’s In Your System. .It’s Not on The Streets. They Should Be Able to Go By a Patients Medical Hystory and The MRIS and Cat Scans Proving Why a Patient is In Soo Much Pain..and Continue to Do What’s Been Working for Lagimate Patients Helping Them with Quality of Life and Easing Their Pain. They Will Have Now More Suisides Than Overdoses. Not to Mention Heart Related Issues From The Anxiety From The Pain? I saw a Doctor and Told him of My Chest Pain..and He Said..I Don’t Talk to Patients about Pain. This is What it’s Come to. I Di Not Trust Any Doctors Anymore. .I Have Lost All Faith in Them.How Sad is That that People are Now Afraid to Go to the Doctor because Now They Question. .Would He or She be in Group of Seemingly Uncaring Doctors. How Cruel That Doctors Are Not Fighting Back for Their Patients? They Worry About Losing Their Liscense. .Bit Should be Worried about Losing Their Practice because People Will Stop Going to Doctors. They are Leaving Their Patients to Fight For Themselves. Most have Already Lost Their Will to Fight or Even Live? I Will be Bedridden Soon as I Am Half Way There Now..and Am in A Depression Like No Orher..As All Chronic Patients are Going Through Now. This Is Wrong in Soo Many Ways! They Need to Look at the Age Group of These People Overdosing and Look at The Age of These Poor Souls Committing Suiside Because They Can’t Bear the Pain? Have They All List Their Common Sence. How On Earth Can A.Government Do This to People? And How Can These Doctors Let Them! Thank You for Having a.Heart Doc and Trying to Get Them to Admit The Truth! God Bless You. I was on opiates to control my CRPS2 and fibromyalgia for nearly 15 yrs-never overused, abused, or misused my meds. Always used organizers so as to NOT overuse either. My body this past year has gone thru 10 times more hell-I’m in pain, plus, my stomach tract is all messed up, I’ve vomited so hard I have a hiatal hernia, my lungs are now filled w/ some kind of infiltrates & I hate the CDC, FDA, and all agencies who arbitrarily did this. Thank You so much! I suffer from SFN. daily pain. tried everything possible before turning to opioids, and since I started using percocet, the pain is almost gone! I do fear of addiction, and increasing doses, but the truth is that it helps like nothing else did. I hope everyone will get the treatment they need. Can you engage the AMA in this fight as well? What do they have to say? The provider associations seem to be following along with the government agency agenda. I see it in their opioid prescribing continuing education courses. Hey if chronic pain is a risk for any elective surgeries, I am not going to elect it in this environment; don’t want to be in unrelieved agony. Gotta love Dr. Red! I am a chronic/intractable pain patient, diabled since 2007. I am a member of several support groups for two of my rare spine diseases with no cure or effevtive treatment. Even with 24/7 pain medication, I still suffer most days. Not one day goes by without hearing of the inhumane treatment pain patients are experiencing. Many have suicidal thoughts. Never in my worst nightmare did I ever believe this would be the life I’d be living. I fear we are at the point of no return now. I have written so many letter, sent numerous email, made phone calls my representatives. I even had a face to face meeting with Congressman Keith Rothfus. No one cares! How do we fight that? The only people reading these types of articles are chronic pain patients. We cannot even unite as one because we are in pain! Myself and many others are so grateful to the people who are speaking out and fighting for our right as humans. Torture is illegal, yet that is exactly what is happening! Chronic pain patients are NOT the problem. Illegal heroin/fentanyl IS!!!! Why punish people who have found a way to have any quality of life? Let doctors be doctors! Overdose deaths are still on the rise YET, opioids have been reduced dramatically causing chronic pain patients to suffer! Let that sink in! Thank you for taking the time to stand up for chronic pain patients who are suffering. We all know you’re right. I hope others begin to listen. You are appreciated more than you know! I hope these people who wont help and are not in an uproar realize their turn is coming soon. I never thought my low dose would be cut and it was I’m not even close to the 90mme but the little dose I’m on allows me to support myself and with the cut i am terrified what will happen to me. I’ve done nothing wrong as the other chronic pain patients have not. It is barbaric and inhumane and why are there no lawsuits by now????? There should be hundreds of thousands protesting not just a handful. Its embarrassing and makes it seem to non cpp that we are just whining as my dr stated. The only crisis is the war on pain patients ! Presidents….. Declares WAR.. on OPIOIDS.. Presidents gives the CDC.. huge amount of Money to Combat this OPIOID Crisis.. So they go after the DOCTORS that prescribe OPIOIDS. The Doctors become Terrified to Dispense a OPIOID PILL.. It’s all about the OPIOID PILL. Who cares if Thousand are Suffering . It’s all about the OPIOID PILL. Were all Addicts and could Over dose.. ER’s… Hospitals.. are now NOT Giving Patients Pain Medication for FEAR of the CDC.. The Big ” Bully ” Dictator ” in our country. Doctor’s Fear of loosing their License take thousand off Pain Med’s. WHAT ? Are you serious ? NOW we really have a Crisis with 45,000 have committed Suicide due to this Crisis. CDC. DEA they don’t care.. It’s called… Gotta KILL THAT OPIOID PILL.. Doctors.. all over the country.. need to bring a ” CLASS ACTION LAW SUIT ” to the CDC.. that is literally out of Control. If Thousands of People were all ” ADDICTS ” we all would be Over Dosing and or Dead.. CDC… need’s to send a letter to every Doctor in this Nation.. and Give them back their Right’s to Treat their patients.. If they don’t.. in the long run.. Were going to see …. many more Suicides… Our Bodies.. can not endure HIGH Level’s of Pain. So this is what I call…… GENOCIDE. !!! Elderly, Disabled, Sick people. Government does not care who they KILL! Presidents.. Declares WAR ON OPIOIDS.. Their Given a Huge Amount of money to Combat this so called CRISIS.. The CDC, DEA.. paint this Picture that Doctor’s are Over-Prescribing. Doctors. start becoming Terrified to Prescribe. So Despite the Horrific Pain their Patients are in they take them off…What I Don’t understand….. is WHY.. Doctors. are allowing the DEA, CDC.. to take pain med’s away… Why are they NOT .. bring a Class Action Suit against the CDC. There are CLEAR LAWS.. that separate Doctors from Drug Dealers. The CDC…. needs to be Accountable for what they have caused with Thousands of Suffering Pain Patients. One has to have NO Conscience in Implementing these Guidelines. and making thousands to Suffer such Pain.. Doctors.. have ever Legal Right to alleviate Pain. Taking their Educated Rights’ away is Illegal. CDC…is playing GOD. with our health… Much Blood will be on their hands. I am a practicing Registered Nurse @ hospital. My husband suffers from DDD (degenerative disc disease) since I have known him 20 years, he has required pain medication to have any quality of life. His back hurts so bad. I have advocated for him, attended MD visits and spoken with my insurance company. So many different specialists. Nobody will help. His PCP knows he needs pain medication. He has prescribed 3 pills per day and it barely helps. Some help is better than no help. My husband felt very suicidal for quite a while as we tried to find pain management that would help. Every time it was a fiasco. He became more depressed with every visit and every rejection. I finally stopped him from that process as it was detrimental to his health. His quality of life is gone. He either cant sleep or sleeps all day. He uses creams, meditates, uses NSAIDS. He is in misery and thus so am I. it is ludicrous that I help people all day but my hands are cut off with respect to my own family. His right/need for pain control is just LOST!!!! Doctors are flat afraid to prescribe. Since when does the DEA know best for pain patients? I will NEVER quit advocating for my patients or my family. As a side note I required double umbilical hernia surgery. Let’s remember I am a practicing RN. I was given 1 pain pill and sent home with NO prescription. I was in SHOCK. These laws/recommendations affect every single person. We must stand up and fight for change. Thank you so much!!! What a joy to see writings which Jeff and Red have expressed factually and splendidly. If anyone can help ” turn the tides”,” the two of you can and will! The CPP’s are behind you all the way! We are infinitely appreciative of your exceptional contributions. OK TROOPS— SHARE THEIR POST. MAKE THIS GREAT CONTRIBUTION VIRAL.! WE’RE IN FOR THE FIGHT OF OUR LIVES AND FIGHTING FOR A SEMBLANCE OF QUALITY OF OUR LIVES TO BE RESTORED. WE’RE TIRED OF SUFFERING. TOGETHER, WE CAN ACHIEVE GREAT THINGS. TOGETHER, WE CAN FIX THIS! SHARE ON FB AND INSTAGRAM WITH EVERYONE. LET’S GET THE AWARENESS MOVING IN TURBO SPEED! P.S. PLEASE SHARE WITH YOUR SENATORS AND CONGRESSMEN! ELECTIONS ARE COMING SOON. IF WE BOMBARD THEIR OFFICES WITH SHARES, VOLUME AND IMPACT HAS THE POTENTIAL TO ENABLE TURNING THE TIDE IN OUR FAVOR! I am sorry you too are going through this. I wish we could all get together somehow and do more than rant and vent on a website that just seems … Like it is not helping as much as it was made out too. I forgot about my infiltrates until you mentioned yours. I have a type of breast cancer that only 3% of us out there have. We were discussing have both my breasts removed for my mother and her mother, her sister and I think another sister died from breast cancer. DOES anyone care NO!! OPIOID CRISIS MY TUSH! CHECK THE STUDIES DONE. 1400 PATIENTS (JUST OVER) Were in this UH CASE STUDY!! NONE OF WHICH WERE PATIENTS WITH LONG TERM CRPS OR OTHER LONG TERM AILMENTS. MY Head is killing me right now! Since June 7th of 2018 I have been out of home ONE DANG TIME! My Insurance deduct. is 63 or 6500. per person. We met it. Finally and now the insurance is fighting us tooth and nail. 100% coverage and now I can not get even an MRI or CAT SCAN. I watch my husband and just hurt me so bad to see the man I love have loved for 34 yrs marries 33yrs hurt because he can not do a thing for me but bring me ice and help me get cleaned up. I have regressed from going out a couple times a week (though i remained in the car with our 3 furbabies) it was just the best for us! I was getting a life back…..Was..now it is gone. This is a well-written concise description of the tragedy being faced daily by millions of innocent folks who have a basic human right to adequate pain relief. Let doctors be doctors. Thank you for understanding and going to bat for those too weak to fight back anymore. Bravo for writing such a thorough, honest and straightforward piece. I honestly think that we should consider a class action lawsuit against the CDC for harms against humanity. This has just gone too far. Richard, it is an honor to read your work, and thank you for advocating for us. Those of us who none seems to listen to or care about. Those of us who they just want to go away, or just die already…which many of us are…your are helping in many ways, keep up the good work, I can’t thank you enough. I want to scream this from the mountain tops! This was the most informative and honest article I have read since this hysteria started. I simply can’t believe that in America, horrible laws,limits and guidelines can have this kind of effect without unbiased accurate scientific data to back it up.I can’t believe our government is allowing this! I can’t believe American citizens are letting this go on without an uproar. Most of all I can’t believe the medical community aren’t coming together and fighting. Where are the lawyers that want to make a name for themselves? Instead the sickest, chronic/ intractable incurable pain patients are trying desperately to protest,call policy makers ,write letters and emails.This is just so tragic and dishearteningly. I thank Mr Lawhorn and others that are fighting for chronic/ intractable pain community to have quality functional lives due to pain medication. i dont know where cdc learned polucymaking but with respect to their opioid policies it doesnt comport with any theory of policymaking i am aware of. As president lyndon johnson wrote the key consideration of policy making is to avoid harm. another policy axiom is acceptability to stakeholders. The cdc has ignored rational policymaking and has justified their cruel and clueless opioid policies via the use of neutralization theory. They clearly are prejudiced against people in pain and principlism in pain care. If the purpoae of government is the happiness of the citizens as Jefferson wrote then clearly the cdc has continued to violate basic principle of government as they have caused grwat sadness to people in pain and made their lives more rough and more troubled thenvwver before.